Bedford Players celebrates its 30th anniversary with Agatha Christie’s The Mousetrap. 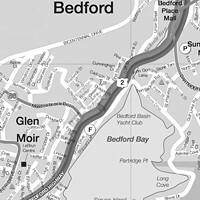 For people confined to peninsular Halifax, the myth of Bedford is one of a strange suburban village in the sky—a commuterville with lovely Basin views. But it's got some great shopping going on.